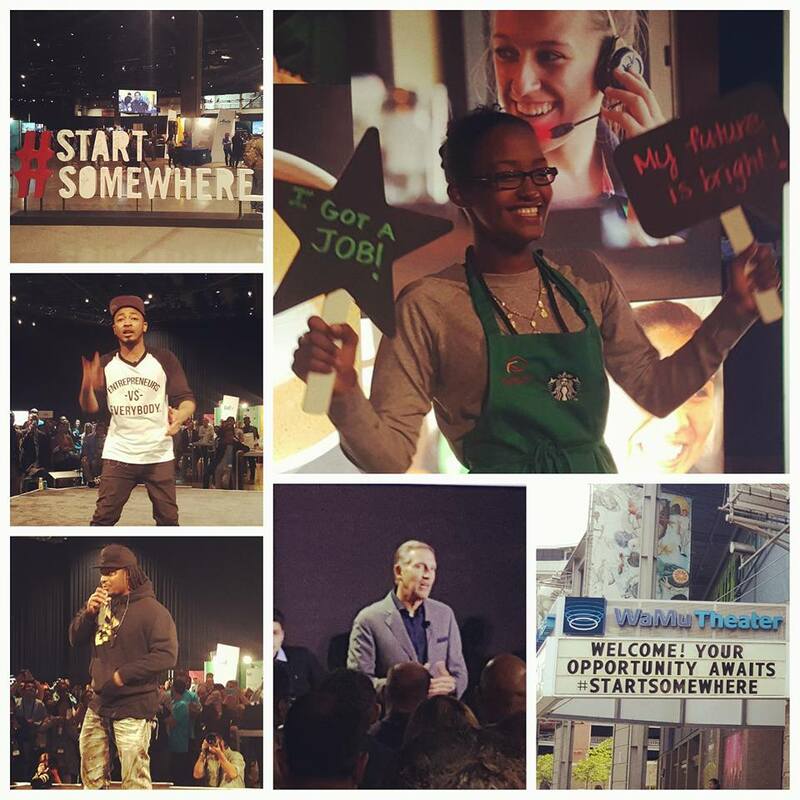 The Starbucks-led Opportunity Youth Initiative is creating jobs – thousands of them. 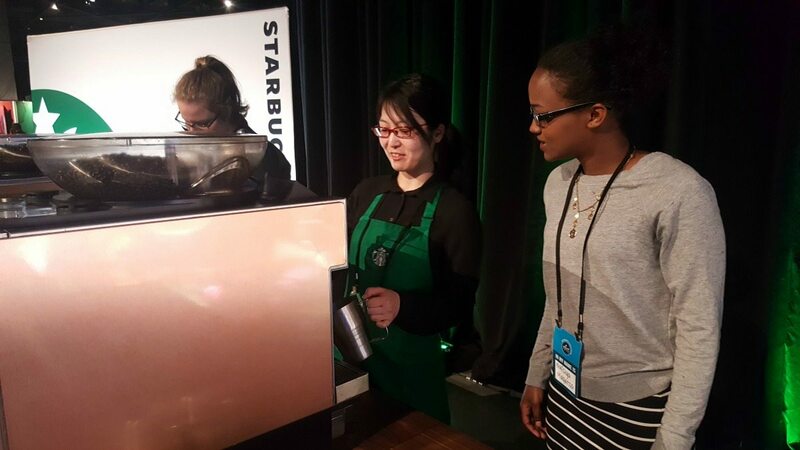 Starbucks, in partnership with many other business, has been hosting job fair hiring events in major cities across the country. 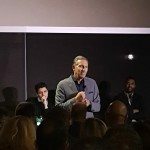 On Thursday, May 5, 2016, I attended the Seattle event. Youth between the ages of 16 and 24 were encouraged to register. 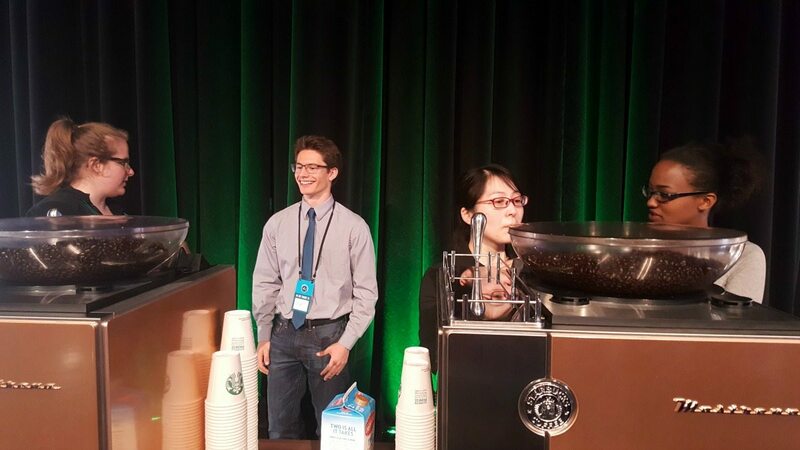 Employers, including Starbucks, were hiring right on the spot. 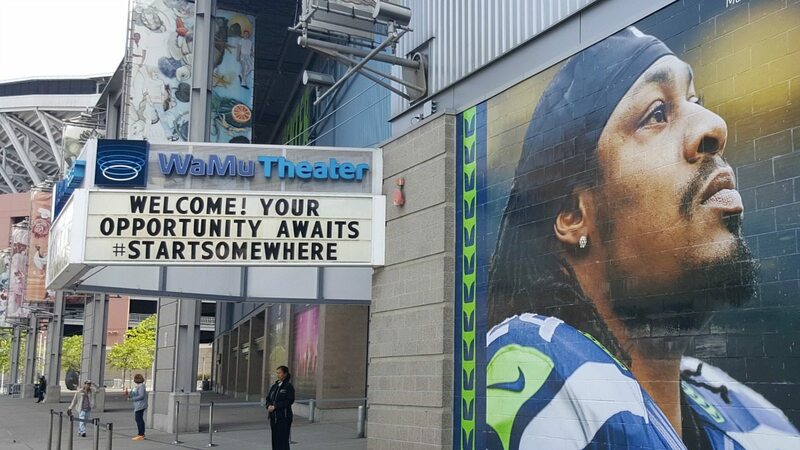 The Seattle event had roughly 1,500 young people registered. This is the fourth Opportunity Youth Initiative hiring fair event: Previously, the same kinds of events in Chicago, Los Angeles, and Phoenix led to about 2,300 young people getting on-the-spot job offers and to date, more than 25,000 youth have found jobs, internships or higher education opportunities through the participating companies. 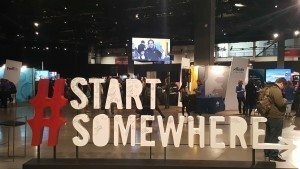 I went to the event and saw lots of booths by recognizable companies, all looking to hiring jobless youth at this event. Here are a few of the companies I saw: Taco Bell, Target, Macy’s, Alaska Airlines, the Hyatt, Fed Ex, and of course, Starbucks and Teavana. The day began with a presentation by four young people who told personal stories of their rocky, and troubled paths that led them to organizations such as Youth Build where they began to find their way. These kids dealt with things like the foster care system, drugs, criminal records and gang activity, poverty, and more. All found their way out terrible circumstances. 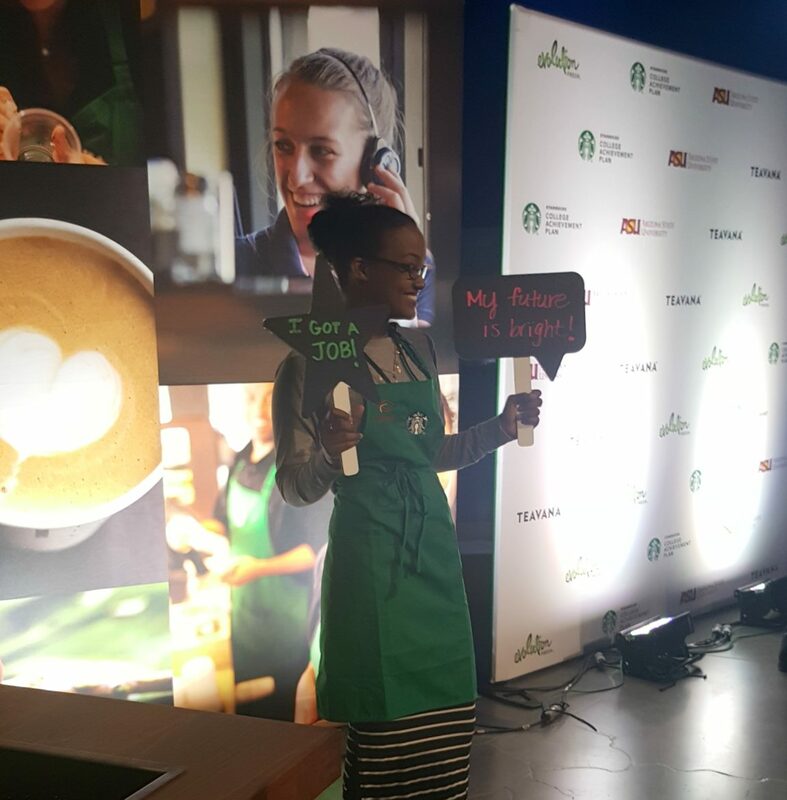 One of the four young people was Carmen Williams, who is now a tw0-year Starbucks partner. All were super motivational! 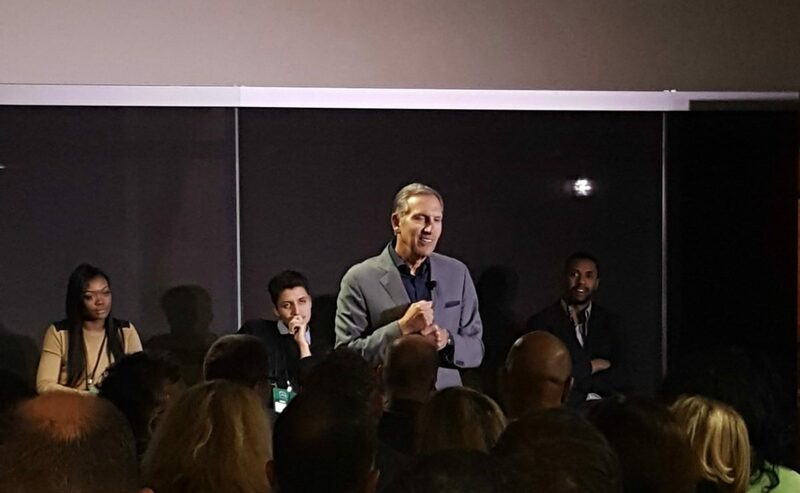 Howard Schultz spoke about the success that the Opportunity Youth Initiative has brought, with thousands and thousands of young people having found jobs through these job fairs. 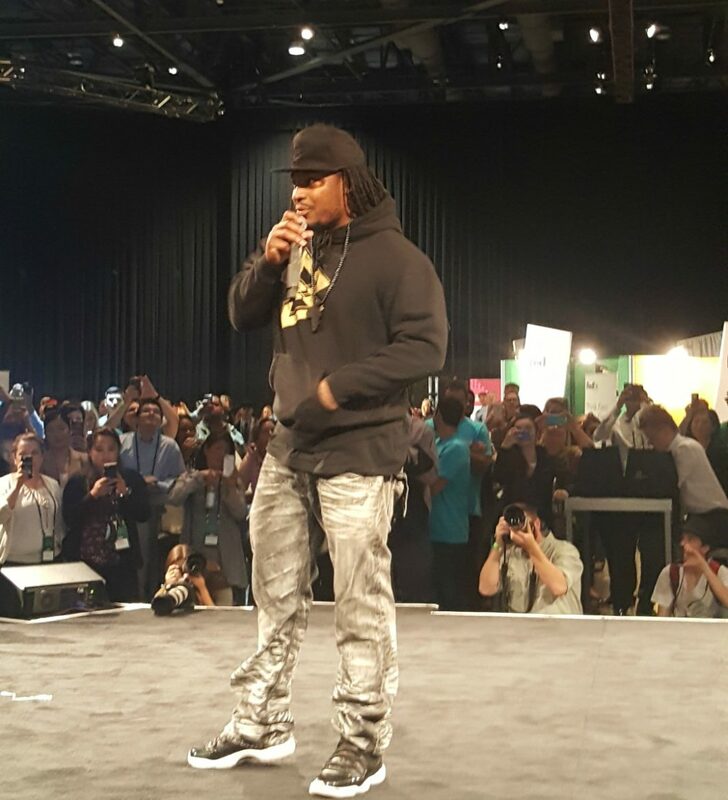 Marshawn Lynch presented as well. I met with 19 year-old Nafsiya Magarssa. She totally exemplified the success that was happening at the Opportunity fair. 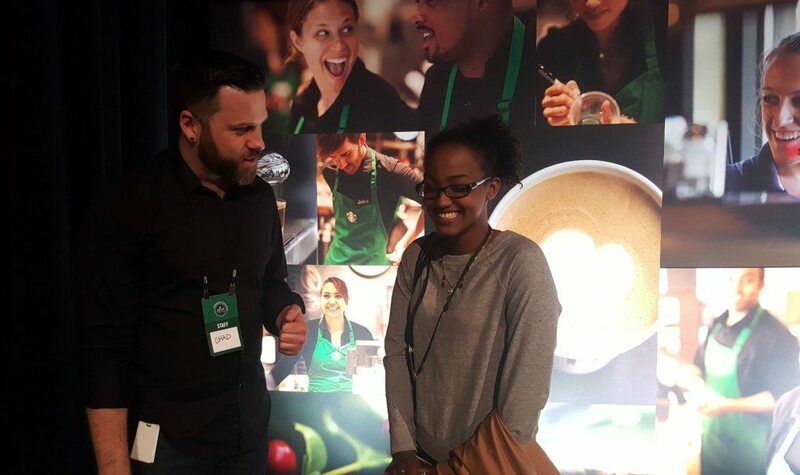 Nafsiya came to the event hoping for a job with Starbucks. She told me she walked in hoping that she’d have the chance to work for Starbucks. She’d heard good things about Starbucks and wanted the experience. Nafsiya had worked part time as a dishwasher and a waitress in the past, but this will be her first full time job. I asked which store she’ll be at and she said she didn’t know yet. She thought either downtown or in West Seattle. Starbucks (along with many companies) was hiring young people on the spot, bypassing some of the typical hiring process. 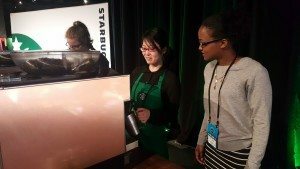 After being notified that a person has a job, newly-hired Starbucks partners could go to an area set up with two Mastrena espresso machines and a number of partners nearby. The person could put on a green apron and hold a sign that said, “I got a job!” Very cute! Nafsiya radiated a great attitude and enthusiasm for her new job! There was something about her that just made you smile! I could talk about booths after booths, but this was what it was all about: A young person comes in jobless and not in school, and walks out totally in love with a new job! What a great event! I hope there are more Opportunity Youth job fairs to come in the future!